Ashley Cowger’s Peter Never Came won the 2011 Autumn House Fiction Prize. Ashley holds an MFA in Creative Writing from the University of Alaska Fairbanks and a BA in English from Northern Arizona University. Her short fiction has appeared in several literary journals and has been nominated for a Pushcart Prize. 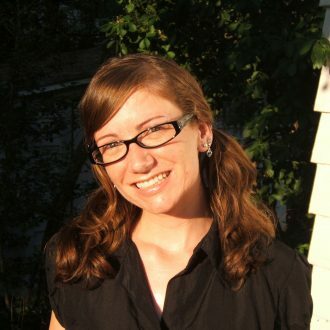 She teaches college English and is the editor and co-founder of the online journal, MFA/MFYou (www.mfamfyou.com). She has divided her life fairly evenly between Alaska, Arizona, and California, and has driven the historic Al-Can Highway twice. She currently lives in southeast Ohio with her husband, cat, and collection of overweight stuffed animals.